Want to burn ISO image to DVD with ease? The best ISO image burner is here for you! 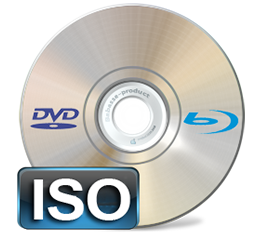 When an ISO image holder tries to burn the files to a blank DVD disc, he or she may have learned that a professional ISO image burner can make the process be easier. Meanwhile, the trouble of how to pick the most appropriate program arrives. In this article, we will introduce the best ISO image burner to help demanders create DVD from an ISO image on Windows (10) with no effort at all. Also, the ISO image burning tutorial will be shown for beginners. WinX DVD Copy Pro - Burn ISO image to blank writable DVD disc, including DVD-/+R (DL), DVD-/+RW (DL) and DVD RAM, on Windows 10, 8(.1), 7, XP as soon as possible. What Is the Best ISO Image Burner Software? There are several factors influencing our decision to take an ISO image burner. • First of all, this ISO burning software should be capable of burning ISO image to DVD disc without trouble. • Secondly, the straightforward interface and easy operation can satisfy every user. 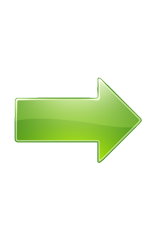 • Thirdly, we believe that a real helpful program can deliver a fast burning speed. • Fourthly, in consideration of security problem, a totally stand-alone program without plug-ins, adware or other malicious software/virus is the better choice. • And, more compatible output DVD formats and operation systems can meet more users' requirements. • Moreover, an all-rounded ISO burner with additional functions, like mounting ISO to virtual drive, copying DVD to ISO, may be well welcomed. Based on the above points, we explore WinX DVD Copy Pro, which is versatile ISO image burner and DVD cloner software for Windows 10, (8.1), 7, XP and lower versions available to burn ISO image, VIDEO_TS folder and DVD (movies) to blank writable DVD disc like DVD-/+R (DL), DVD-/+RW (DL), DVD RAM at 1:1 ratio. In turn, it allows you to copy DVD (home-made or commercial copy-protected) to ISO image/VIDEO_TS folder keeping original vivid image and hi-fi audio. Its beginner-friendly design can lead users to learn how to burn ISO image without guesswork. The dazzlingly fast burning speed but low CPU cost can deliver a pretty source-efficient ISO image burning process. It is a totally clean and safe program which will never stealthily bring useless and harmful software to your computer. How to Burn ISO Image to DVD? Download/install WinX DVD Copy Pro on your Windows (10) computer and then follow the steps to burn ISO image to DVD with this best ISO imager burner. Launch WinX DVD Copy Pro. Click DVD Burner option located at the left sidebar of main interface to access to the panel for burning ISO image to DVD. Click Load ISO button to select the file which you want to burn to DVD. Insert the blank DVD disc into DVD-ROM and the Target DVD Burner will be shown automatically. Hit RUN button and the process of ISO to DVD burning will be started. • 1:1 copy DVD to ISO image/VIDEO_TS folder, back up main/full title to a single MPEG2 file. • Rip/convert general or copy-protected DVDs to MP4, AVI, WMV, MOV, iPhone, iPad, Android, Windows Phone etc, with crisp output video. Also, it can copy DVD ISO files to USB drive for playing the ISO files on some devices via USB drive. How to Fast Convert ISO to AVI on Windows 10/8.1 etc.